As many of you are probably already aware, I love Mexican food. Heck, I like most all ethnic food that I have ever tried, but Mexican cuisine, and well, Thai, really stand out for me. There is something to be said of its simplicity while at the same time having a very complex flavor. Take for example a basic roasted salsa. Very simple ingredients, but when added to a taco, that taco just got a whole lot brighter. Those are some of the things I love about Mexican food. I post time and time again on how often I love visiting my local taqueria for a few tacos al pastor, and while I am eating the tacos, I really take interest to what the other locals are eating. Sure, some are eating tortas, or the daily special, but a majority of them are eating bowls of soup with large cuts of tender meats and chunky vegetables, all while having a warm, corn tortilla in the other hand. After my snooping around and quick investigation, I realized that what the local are eating is really just a great chicken soup, with a couple of different ingredients. More rustic if you will, and it was my goal to make it for my family, and am I glad I did. Add all of the ingredients to a large stock pot, bring to a boil, cover, reduce the heat to a simmer, and let it cook for about two hours. About one hour in, skim the top of any residue, and discard. Discard all of the chicken and vegetables, filtering it as much as possible. If you can let this cool, and place in the refrigerator overnight, that would be great. 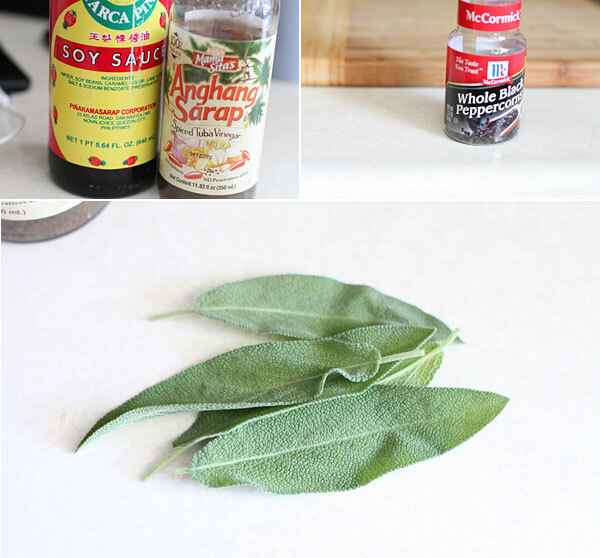 This will allow you to easily scrape any of the fat off of the top to have a cleaner broth. Start by adding the broth back to your soup pot and bring it to a simmer. Add all of the ingredients except the cilantro and corn tortillas. Continue cooking on simmer until the vegetables become tender. This will take about 45-60 minutes. During this time, make the rice. Add the whole tomatoes, water, and salt to a food processor or blender. Next, heat a medium pot on medium heat. Add the oil and let it warm through. Add in the rice, and stir, coating all of the rice. Continue to do this until the rice turns a light brown color. Add in your tomato water, give a good stir, cover, and reduce the heat to a simmer. Cook for about 15-20 minutes, or until the rice is nice and fluffy. Once cooked, remove it from the heat. Sounds like a lot, right? It’s not, trust me. Now you are ready to serve. To a nice soup bowl, add in about one cup of the rice to the bottom, distribute the chicken and vegetables into the broth, and ladle in the nice broth. Garnish with fresh cilantro and serve with a lime wedge and some nice, warm tortillas. The simplicity of the ingredients, which are very basic, tend to change with the flavor of a warm, corn tortilla. Those simple things will get you every time. Now I know why the locals are always ordering the caldo de pollo, and the caldo de res. I hope you enjoy. I often think of making Filipino cuisine on a more regular basis, much like when I make Mexican food, or Thai for that matter. The reality is that I have not been exposed to many of the diverse dishes that Filipino food offers. Now sure, I’ve rocked out many of the go to comfort dishes such as tinola, arroz caldo, lechon manok, crispy pork belly, giniling, and my wife and kids favorite, lumpia shanghai. As you can tell, I’ve done plenty, however this year, I want to be able to explore more cuisine and get some lessons from my father-n-law, who is from the best part of the culinary parts of the Philippines, the town known as Pampanga. 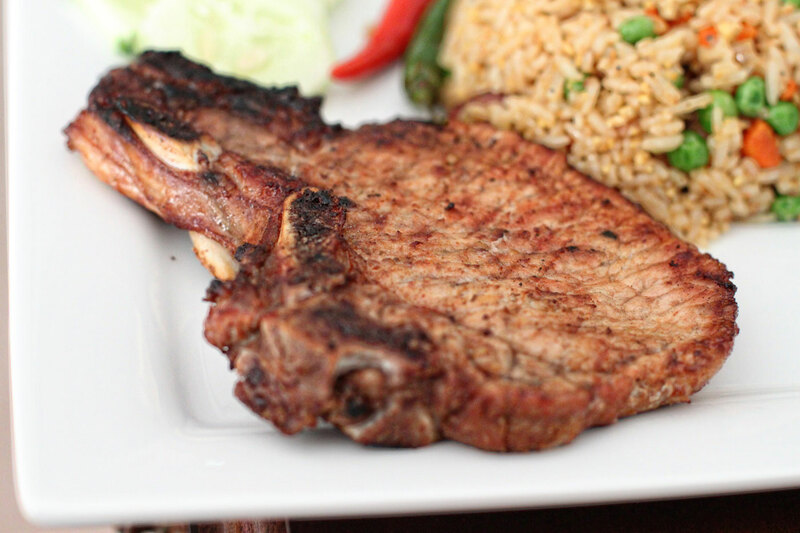 With all of this said, there is one go to dish that my wife, and kids always agree, and that is grilled pork chops. That’s right, it’s not Filipino (just yet), but if I were to ask my wife what she wanted for dinner, the default almost is always ‘pork chops and rice’. 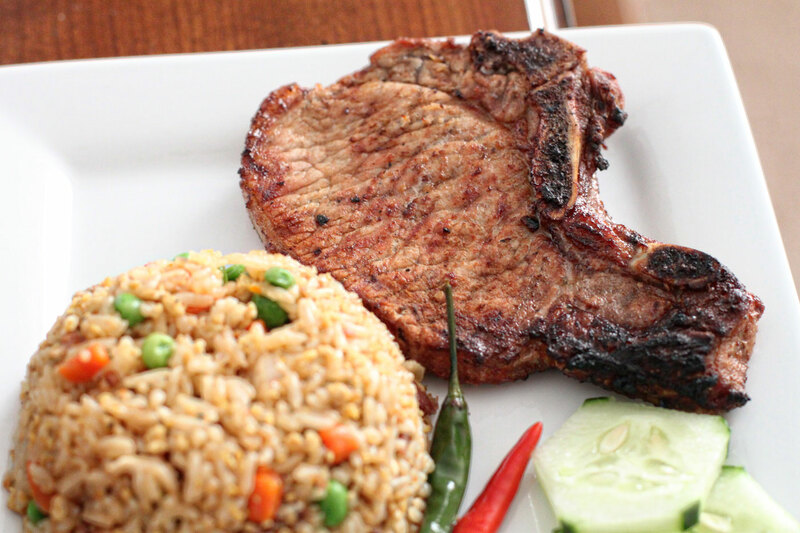 I’m down for that, and that’s why I turned the boring pork chop into something magical; the Filipino adobo pork chop. If you have never tried Filipino adobo, well, in my opinion it is a must. My wife grew up eating Adobo chicken, so you can pretty much use the basic marinade (which is amazing) and use it with probably any protein. Combine all of your ingredients and place in a large, sealable bag. Seal, and swish everything around. Place in the refrigerator for at least 4 hours, or my preference, overnight. You can bake these if you want, but I preferred to grill the pork chops just to get some smokey flavor introduced. When you are ready, heat your coals in your grill until they become nice and white. During this time, remove the pork adobo from the refrigerator and let them come up almost to room temperature, or at least get some of the chill off of them. Add the pork chops to the grill, removing any peppercorns that might stick to them, if you desire, and cook until they are just a bit under temp, turning over along the way to get some nice grill marks. Once cooked to your liking, remove and place them onto a plate. Let these rest a few minutes before serving. The result is awesome. Now generally you would stew this within the marinade, however not for this guy. The result is very similar to what you would get with the stewed version, but with just some great smokiness from the coals. It’s sweet, slightly sour, and slightly spicy. A winning combination in my book. Give these a shot if you are looking to explore a bit in your kitchen and outdoor grilling. Hope you enjoy!